RE@L's Response to Star-Tribune Opinionnaire: "Reboot Required! ": Here Are RE@L's Steps to Get More MN EdTech Successes Going Again! In a recent Sunday StarTribune Opinionnaire, DEED Commissioner Steve Grove shared his “Reboot Required” column “call to action” with our newly elected state government leaders and also our MN technology industry scions. DEED stands for: Department of Employment and Economic Development. They help make more businesses and jobs happen. Click the StarTribune graphic to the right to read Commissioner Grove’s timely call to action. RE@L loudly applauds the new DEED Commissioner Grove’s clarion call to do-it-again! First off, Steve Grove was a tech team leader at Google’s News Lab™. Steve knows technology. Click the graphic on the right for more information about the News Lab. Secondly, the call-to-reboot worked amazingly well over 40 years ago. So well, that many of us still believe we can “reboot” our efforts again. We need to make it happen once more! RE@L is among those ready to join this “revolution” again because our own RE@L leaders helped make the last collaboration so successful. RE@L was there to help make it happen. Read on for the rest of the story. RE@L believes the Commissioner’s call-to-action should be made required reading for all who care about the growth of our Minnesota EdTech economy. The Commissioner addresses “reboot”-able technology issues in general and, equally importantly, in K12 education. 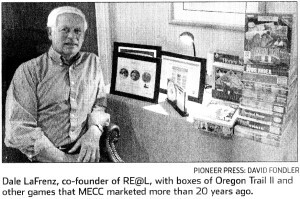 We at RE@L are reminded of our own MECC heyday and the world-wide software learning prducts that entertained and taught millions of K12 students. We now need a statewide Re-Boot to our many behinds, pardon the pun. That old saying, “Better late than never, but better never late,” comes to mind. Over the years, Minnesota has lost its former lead. Back in the 70’s, Minnesota’s MECC was the first customer to buy a bunch of Steve Jobs’ revolutionary new desktop Apple II computers for Minnesota’s teachers, kids and classrooms both here and far. MECC changed the K12 software world. At that critical time, MECC helped push Apple far ahead in the sales of desktop computer competitors. Mr. Jobs would have been the first to tell you that MECC’s hundreds, and later many hundreds of thousands of K12 computer software disks put the power of Apple desktop technology in the hand of many users. More importantly, MECC found a new way to create learning software that K12 students loved. MECC also provided supportive resource materials that enabled teachers to use in their classes. The all-time world-wide winner of enjoyable and useful learning software clearly was Oregon Trail™. If you don’t believe it, ask any student who played the game back then. Baby boomers today, who used it almost 40 years ago can still tell you what “You have died of dysentery” meant when it flashed on your computer screen. The Oregon Trail™, created by Don Rawitsch, our RE@L VP, modeled the real world the pioneers faced. 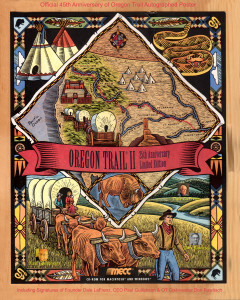 They could make all the “right” decisions on their trek but a serious dysentery attack finished their trek to Oregon. A host of other learning software activities from MECC were greatly popular too, from Lemonade Stand to Vector Golf and Opening Night. Once again the lesson plans, activities, and resources that MECC provided for the teacher also made for better teaching and better learning for students. The State of Minnesota was a key player in helping MECC make all this happen. Governors Harold LeVander and Rudy Perpich supported jump-starting tech initiatives with state funding. Tech businesses jumped on board. So did K12 education. MECC was the leader in that sector. Their leaders and think-tankers kept coming up with engaging curriculum resources ideas and new software to deliver it. Many teachers taught coding skills back then, too. 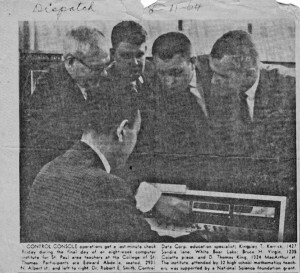 It helped students create computer code, like BASIC, Fortran, and later C+ to solve problems. But coding isn’t everything and it’s not for everyone. Far more K12 learning today focuses on STEM-related courses or units. There you will find kids learning and teaming together, and engaged with project-based learning, working both inside and outside the classroom. Teachers and students today need new learning software products with instantaneous, virtual, world-wide access to needed resources. RE@L knows what worked before will work again. Here’s the RE@L keys to success: more collaboration, relevant research, adequate startup funding, results reporting. RE@L foresees new software that’s both “hands-on and heads-on”™, more teaming, deeper learning, and sharing real-world findings with other teams of learners. We still have here in Minnesota the entrepreneurial wisdom and partnership to make this revolutionary reboot required again. The RE@L software visionaries who brought Oregon Trail™ to young learners are ready to reboot with RE@L. Let’s roundup those early futurists and give them the reins once again. They did it before. They can do it again. They are poised and ready to go. Minnesota can once again “become a nation-leading tech hub” as Commissioner Grove envisions. We can regain our world-wide leadership with new, more powerful K12 learning products. We know that with RE@L learning products more of our K12 learners will learn more. RE@L has an opportunity to do it again, do it together and do it even better. From what we’ve learned, RE@L knows that, with a rebooting, we can do it even better. Want to help and also a MN resident? Send your letters and emails of support to Governor Walz (click here), Minnesota Legislature members (click here), and email DEED Commissioner Steve Grove (mailto:SteveGrove@state.mn.us). Help make it happen! ← RE@L Repost: “To Code or Not to Code? That Is The Question”…. So What Is The Answer? Dr. Tom King has served for over 40 years as an Adjunct Professor at the University of Saint Thomas in the School of Education. 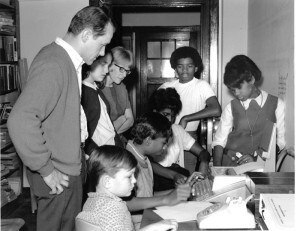 The Saturn School of Tomorrow, formerly a St. Paul Public School, and his visionary response to educational reform, was a lighthouse on the frontier of school change. Tom was an experienced high school teacher of mathematics, a school administrator, and Director of Technology for the St. Paul MN Public Schools. He is also a member of the RE@L Team. 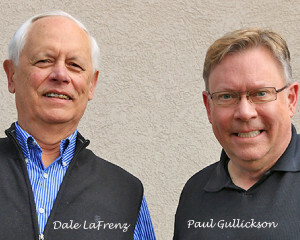 Dr. Dale LaFrenz is Chairman of RE@L and one of the founders of MECC Software who brought “Oregon Trail” to millions of K12 kids everywhere. 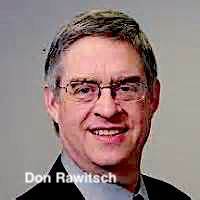 He has written extensively on the history and evolution of Ed Tech. 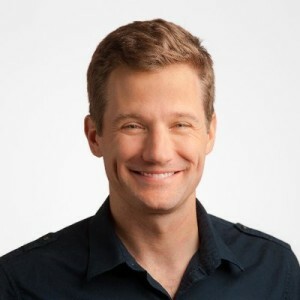 His work in forging new paths for MECC’S “edutainment" software was instrumental in connecting school-markets, kids, teachers and consumer-markets/kids/parents, and now serves as the new launching pad for RE@L apps and software. Copyright 2018 © Real Experiences at Life. All Rights Reserved.